John Brown University received a B.
Washington Monthly's ranking of 73 out of 346 of Baccalaureate Colleges - Overall Rank was a major contributor to this grade. 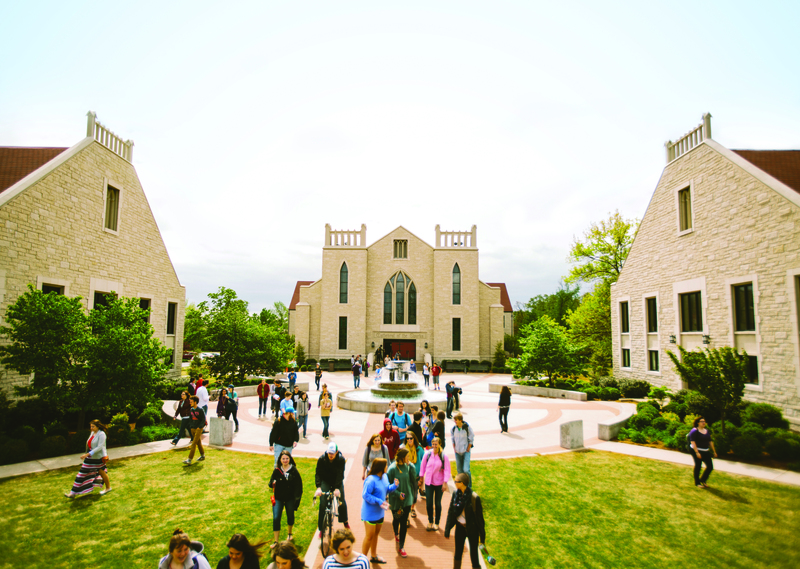 John Brown University is college with 2080 students located in Siloam Springs, AR. What is a typical John Brown University student like? Describe the type of person that should attend John Brown University. The typical John Brown University student is a strong Christian, very well mannered and friendly, spontaneous and fun. What are the top 3 reasons someone should attend John Brown University? The top three reasons someone should attend John Brown University are the academics are great, 1 professor to 15 students, Arkansas is beautiful, and everyone here is super great! What was a typical John Brown University student like in high school? Describe the type of person that should attend John Brown University. Since 1919, John Brown University has educated students in a distinctly Christian community, providing an academic, spiritual and professional foundation for world-impacting careers. Today, JBU is an educational leader offering traditional undergraduate, degree completion, graduate and online learning programs to students from across the globe. JBU's top programs include Digital Media, Business Administration, Graphic Design, Family and Human Services, Teacher Education, Engineering, Biology, Construction Management and many others. What are the top 3 things that students do for fun at John Brown University? The three things that students at John Brown University do for fun are: Hiking/Camping, hangout in student center, and going to Waffle House. 69% of students live on-campus. The average student pays $17,552 for tuition, fees, and other expenses, after grants and scholarships. Total stated tuition is $21,736, in-state and on-campus, before financial aid. Learn more about financial aid at http://www.jbu.edu/admissions/financial_aid/. Estimate the net price for you at http://info.eaglenet.jbu.edu/npc. The typical (median) early career salary of John Brown University graduates is $37,900, according to Payscale. John Brown University participates in the NAIA Division I for college athletics. Want more info about John Brown University? Get free advice from education experts and Noodle community members.